Treat your family to an unforgettable outdoor adventure or enjoy a leisurely getaway with your loved one when you come to Olema Campground, a fun campground in Olema, California. Since 1969, we've been offering families, friends, and couples a chance to relax in the beautiful natural setting of our campground in an RV or tent. Escape the chaos of daily living and enjoy the beautiful wilderness with your family and friends when you come to us. 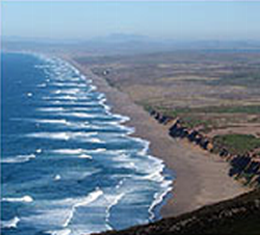 Located next to the Point Reyes National Seashore, just north of San Francisco, we offer the ideal place to enjoy different outdoor activities like bird watching, hiking, kayaking or just relaxing on the beach. We are located next to 65,000 acres of unspoiled park land and wilderness, rife with wildlife and heart-stopping vistas. Grab a good book or your hiking boots, and come visit our outdoor family destination that will help you create wonderful lifelong memories. 12-16-18 New campsite occupancy tax. 5-3-15 We have a new wifi system. 7-6-14 Online reservations are now available. Take advantage of our weekly rate and enjoy more time to explore our beautiful area. Good Sam members receive a 10% discount when you choose our site for your next camping trip. If you're a member of Good Sam, you'll receive this great discount in addition to our unbeatable, competitive prices. Contact us to find out more about our fun campground in Olema, California. Office Hours: Monday – Sunday, 9:00 a.m. – 5:00 p.m.
Self registration is available when office is closed. Please check the list of available campsites.